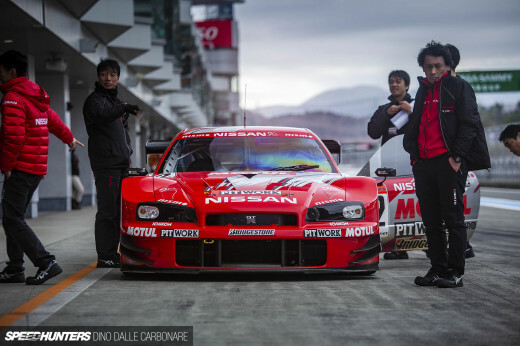 Now for some coverage from the Nissan mecca that was the 2008 Nismo Festival at Fuji Speedway. 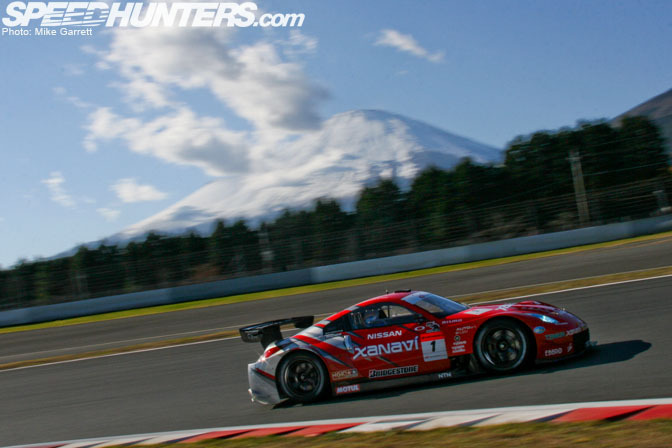 Above, we have the 2005 Super GT Nismo Xanavi Z rounding FSW's final corner with Mt. Fuji looming in the background.This shot was taken during the special race that included Super GT and Super Taikyu Z's mixed with some of Nissan's Group C cars.This race was perfect for Z33 fans as they could see all the different race versions of the car racing together. Speaking of Z's, I was hoping to see some variant of the Z34 at event, but surprisingly Nissan didn't show the new car there. I wonder if the Super GT and Super Taikyo teams will switch to the new car sometime next year? 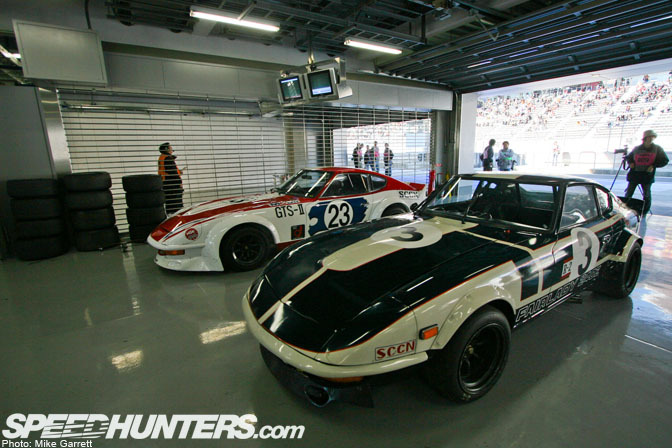 A pair vintage 240ZG race cars in the garage. 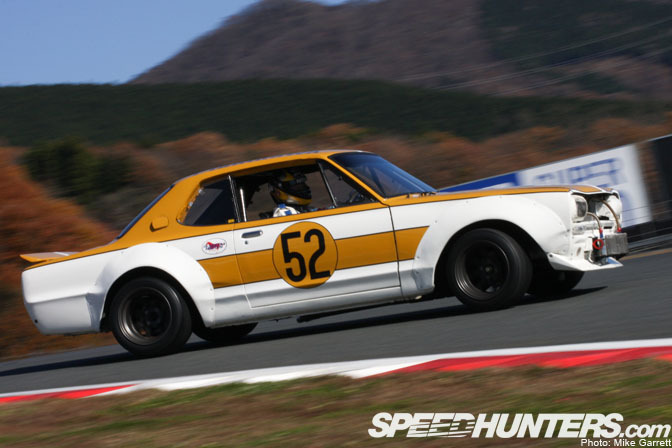 Just the opportunity to see this classics running flat out is more than enough to make a trip the Nismo Festival worthwhile. 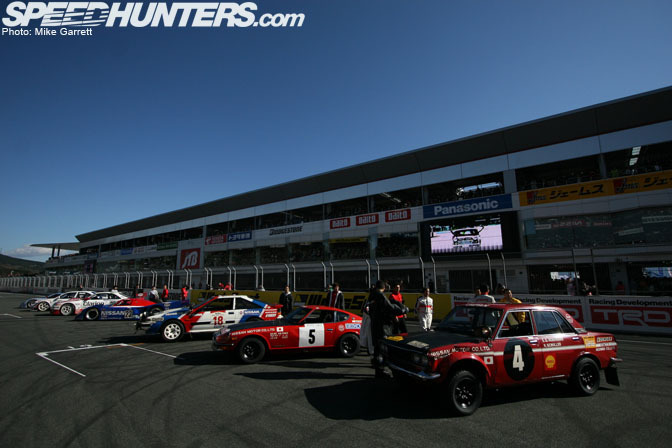 Nissan held a celebration commemorating 50 years of international motorsports dating back to the 1958 Datsun 210 "Fuji" rally car that competed in Australia. Other cars included the 510 Bluebird and S30Z rally cars, plus Le Mans machines and the Primera touring car from the BTCC. The original drivers of the 1958 rally car even made an appearance and talked about old times. Combine Fuji Speedway, some perfect late fall weather, and a KPGC10 Skyline GT-R race car, and you have what is essentially paradise. I was thinking this shot would make a great desktop wallpaper. One of the B110 Nissan Sunny race cars undergoing some work before the historic car race. It's surprising how fast the OHV-powered Sunny's can be when properly tuned. 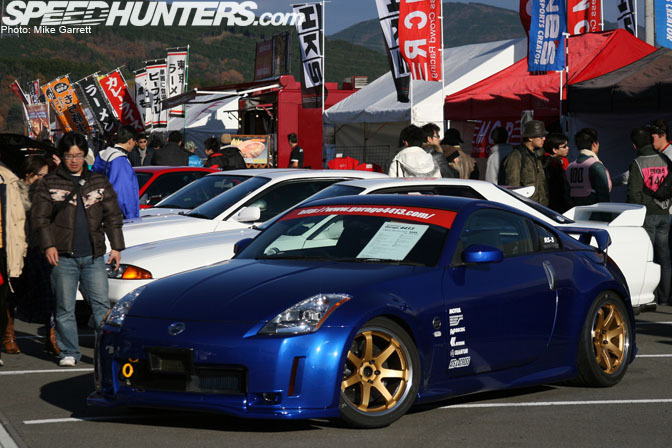 Cars like the Tomei B110 were running right with the larger displacement GT-R's and Z's. 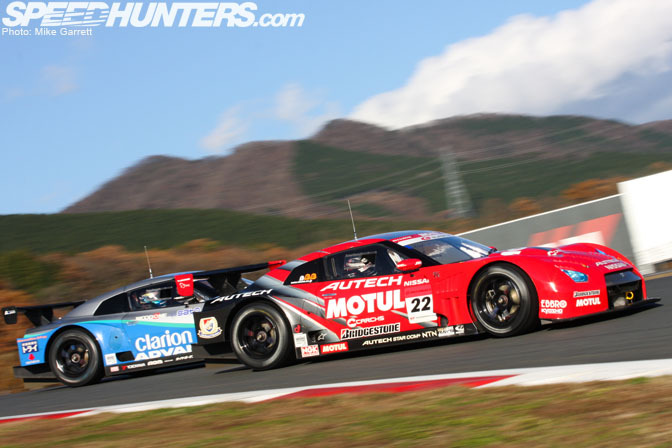 Awesome scenes like the R390GT1 being chased by Super GT Z's could probbaly convert anyone to a Nissan flag-waver. In closing, a shot of the Motul and Clarion GT500 cars engaged in a friendly battle during the afternoon's "main event" GT-R special race. Great shots. I love the first pic with Fuji-san in the backround. Looks like a GT4 screen shot! 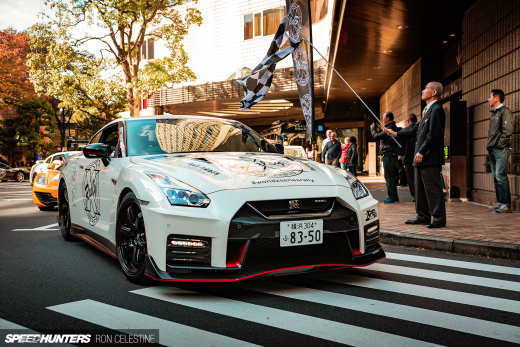 I am not even a Nissan head but this coverage makes me want to go to Japan for the Nismo festival. Can you post some pics of the BTCC car please? Considering the success of the R35 GTR in Super GT this year, I doubt Nissan will want to switch to a new platform just yet. What's with Nissan not allowing modded GTRs? 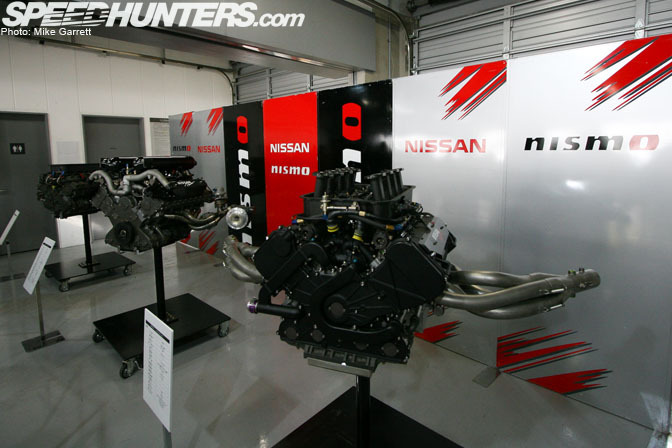 "We are the only ones allowed to tune the R35, anybody else is illegal"-Mr. Nismo to tuning public. Anyway, great event--yet another reason to visit Japan. 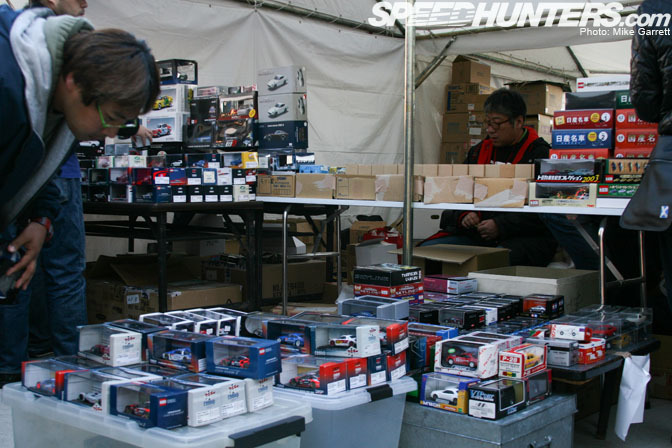 man, those new GTRs for superGT are NUTS! Well if some of the tunes are anything like what was at SEMA then it is a good thing they didn't let em' in. My guess for the most part is that the GT-R is supposed to be such a good car without mods they would rather you not mod it, at least not while they are looking. I don't know they tell you not to change the wheels, do this, do that, and the aero's have already been tested in a wind tunnel so what can you do to make it that much better? I don't know it just seems like to make the GT-R significantly better on the street you would have to put a track-only kit on it and you cannot do that so therefore leave it stock or stock-ish. please please please! make the first picture a wallpaper! its a gorgeous picture! 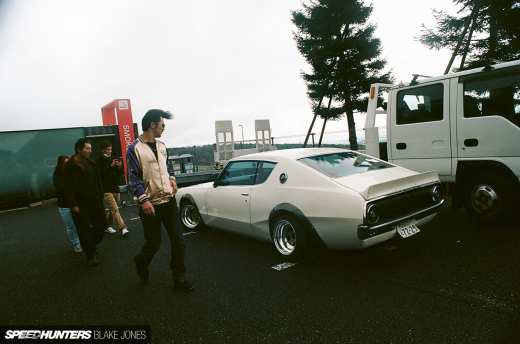 I luv the Roof lines on those GT500.. always a fan of your shots mike! 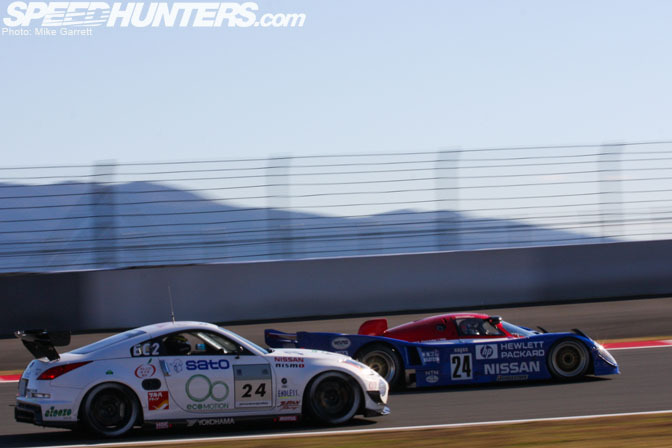 Love the shot of the 1992 R92CP overtaking the Z33 raced at the Tokachi 24hr race. 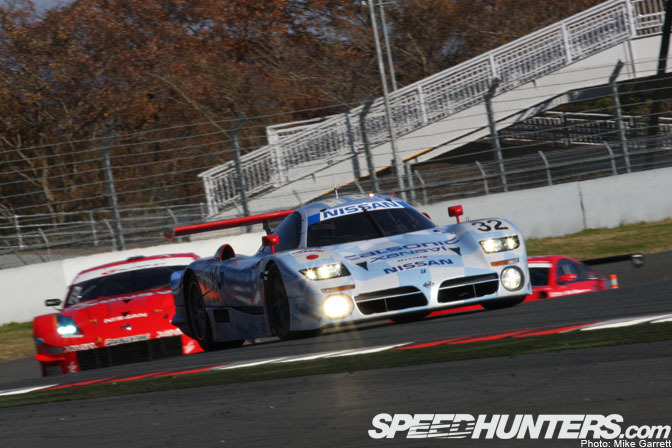 Low prototype race cars make street sports cars look like SUVs. Nice contrast between the two.